A quick dinner idea that keeps you well under budget. 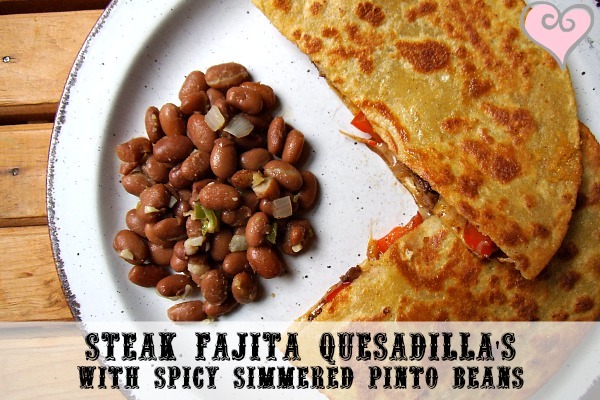 The spicy simmered pinto beans are a great side for these easy steak fajita quesadilla's, loaded with flavor and great for lunch the next day. Make sure to leave the veggies on a little longer to caramelize for that delicious boost of flavor. 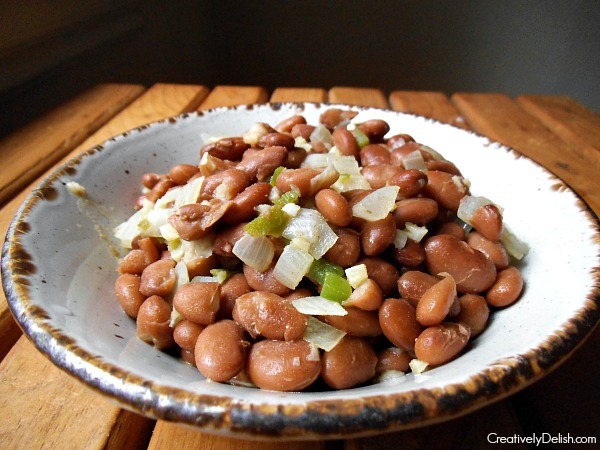 The beans are simmered in broth with jalapeno, onion and garlic to give it a really great authentic taste. I used the leftovers to throw over salads for lunches the next few days afterwards. If you store them in an airtight container, they can last up for four days. 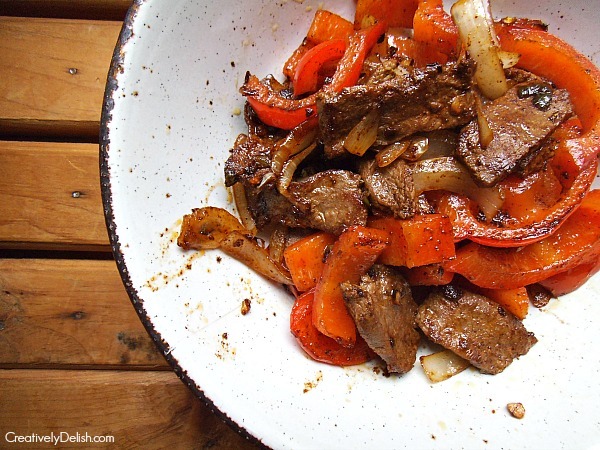 In a large heated pan, add some olive oil and cook sliced onions and peppers for 4 minutes, then add the beef and cook each side of the beef for 2-3 minutes. The slices of beef should be thin so it shouldn't take long to cook. Add in 1 tsp cumin, as well as the chili powder, garlic powder and about 1 tsp each of s&p. In a saucepan, add some oil and cook diced onion, garlic and jalapeno for 2 minutes, then add 1 tsp cumin, pinto beans and ¼ c broth. Let it simmer and add more broth if needed. Drain the broth after 8 minutes and set the beans aside. Assemble the quesadillas with cheese and beef mixture and cook each side for 3-4 minutes, allowing each side to brown.